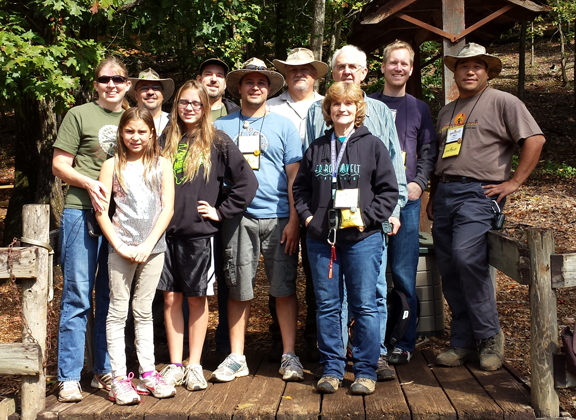 The full crew from the Going Caching 2013 Mega-Event. 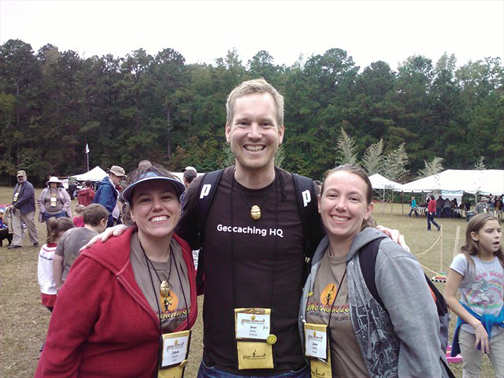 Geocaching HQ’er Sean with a couple of happy geocachers. This past August I had the pleasure of meeting Andi Beyer and Jim Williamson, founders of the “Going Caching” Mega, for the first time. They had just flown to Seattle to attend this year’s Geocaching Block Party and were introduced to me because Geocaching HQ had chosen to send me to this year’s version of their event in Warm Springs, Georgia. We hit it off immediately. They made some bold promises about how much fun I would have at their event and I became super-excited to trek across the country for their Mega-Event. 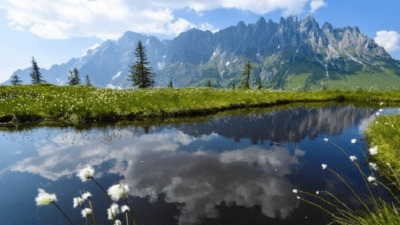 Often when one travels to mega events as a Groundspeak Lackey it is difficult to find the time to participate in the various events and activities because one gets caught up at the main event meeting and greeting with cachers from around the area. To avoid this, Andi and Jim insisted that I add another day to my trip so that I would have enough time to participate in all the events. When I arrived in Warm Springs, they immediately hooked me up with an amazing family, the Villanuevas, who adopted me for the day with orders to make sure I would partake in all the various events. Agent Hop, his wife HopsGeneral and their two awesome daughters were gracious hosts and went out of their way to make my trip a great one. 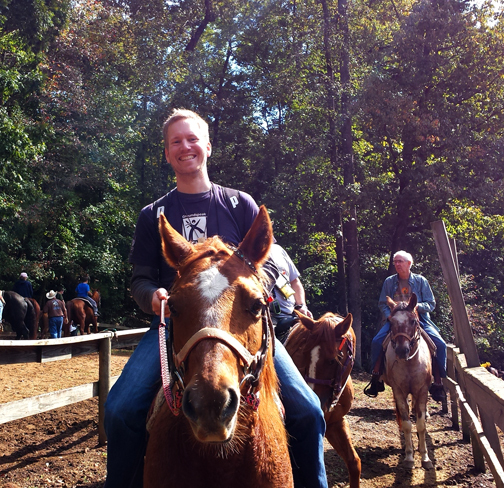 The first event planned for me was a series of geocaches to be found on horseback. My hosts drove me to Roosevelt Riding Stables, a cute little outpost in the FDR State Park, where Andi and company had set up a special geocaching course for those who wanted a brand new caching experience. Caches were placed at a perfect height on trees along the path, so that it wasn’t necessary to dismount in order to find them. There were multi-caches, traditional caches, puzzle caches, and letterboxes, all accessible only by horse. We spent the morning trotting around the park collecting these caches and then headed back to the main park to jump head first into the main puzzle. Great fun! When we returned to the main event site, it became clear to me how amazing the organization and logistics for this event actually were. Andi and Jim had designed a giant, super-complex puzzle cache based on a hybrid of the television series “Lost” and the Indiana Jones trilogy to be the centerpiece of the event. They had printed, minted and crafted all kinds of cool swag for participants such as path tags, collectable coins, gold-painted plaster scarabs, collectable caching cards featuring photos of attendees, and laminated map cards. 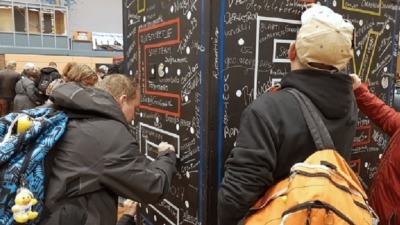 All of these things were brilliantly incorporated into the puzzle so that participants would be required to collaborate with one another but in such a way that made it actually possible for everyone to complete the challenge. They repurposed staff members as actors, who were dressed up as druids with scary contact lenses in order to defend an elaborate map room from the unauthorized. Those who made it past the druids were required to hook up their collectable geocoin to a staff of the correct size, and a laser would then shoot out of the wall pointing to the final cache location on the giant map. This location ultimately turned out to be a faked aircraft crash site in the middle of the woods with a huge cache box where participants could enter the evening raffle by dropping off their validated map pieces. So cool! The geocachers who earned smileys on horseback. Overall, there were 10 different mini-events associated with this awesome Mega including a Civilian Conservation Corps CITO event, a tasty brunch on Sunday morning and even a Fireside chat with FDR himself! Also, the event hosted a series of Groundspeak’s new Lab Caches featuring a historical tour of FDR state park and another fun caching challenge called the ACE challenge which had participants run around the park gathering a series of stamps with the ultimate goal of cashing them in for a specially-designed Magellan coin. Finally, 100 newly published caches were released throughout the region and were provided to participants the morning of the event on a special thumb drive provided in the welcome pack. 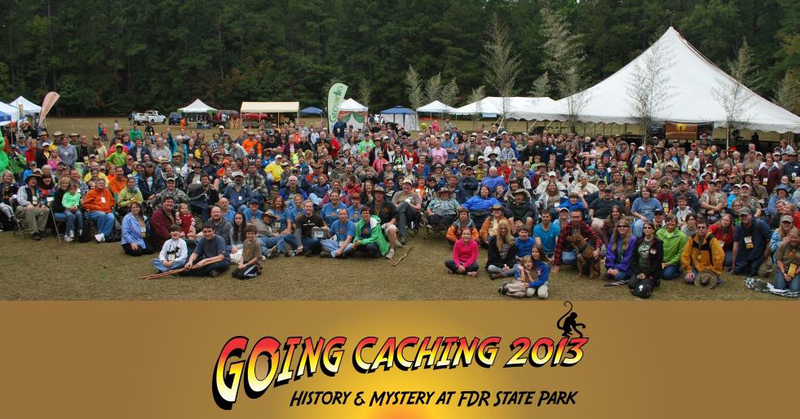 Truly the Going Caching Mega events are a special treat for those who are fortunate enough to attend. 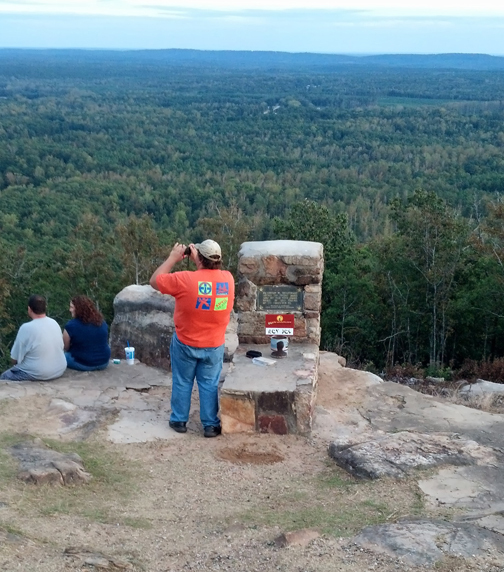 Next year’s theme is already set, Going Caching 2014 – “When in Rome…” to be held in Andi’s and Jim’s hometown of Rome, GA! If you are able, you should definitely find a way to attend. You won’t be disappointed! 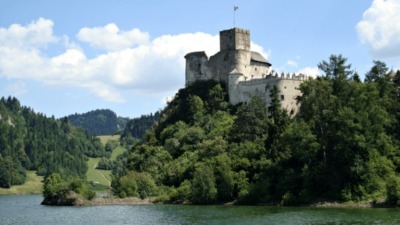 A location of one of the experimental geocaches from Geocaching Labs.